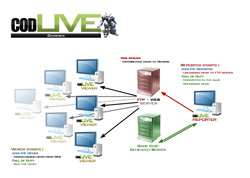 codLIVE consists of two applications that transfer events in the game other viewers. 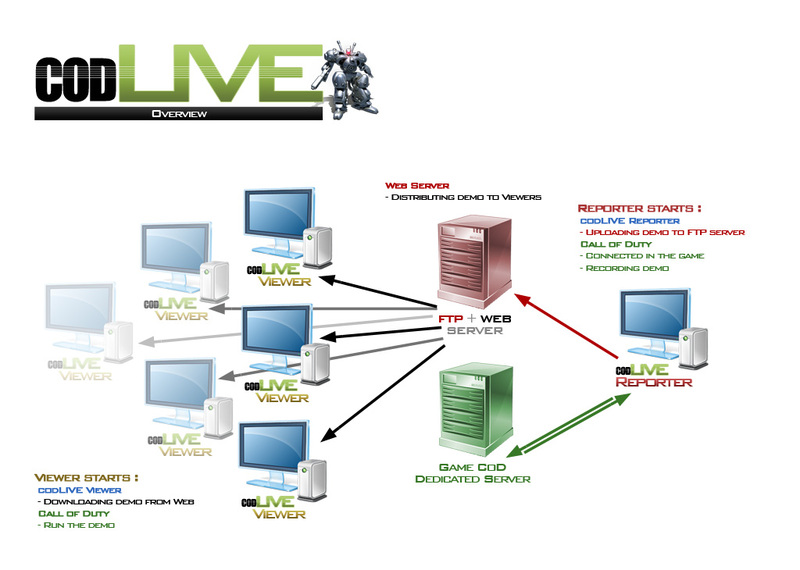 1. codLIVE Reporter is an application that demo recorded by an observer attached to the game server transmits to viewers. 2. codLIVE Viewer is an application that demo is about 2 min. delayed transfers audience. Both applications are available for free to try. For details and download click on the icon of the application. The application does not need to run the Internet and is fully applicable to the LAN. codLIVE is in BETA. Applications at this stage does not save settings and is limited in time. The BETA version is limited to about 10 minutes.